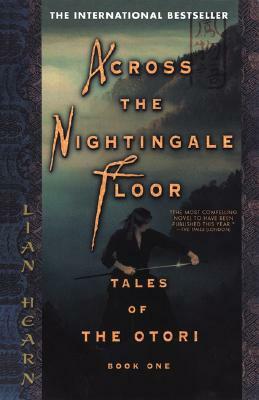 An international bestseller, Across the Nightingale Floor is the first book in the Tales of the Otori series by Lian Hearn. Don't miss the related series, The Tale of Shikanoko. In his black-walled fortress at Inuyama, the warlord Iida Sadamu surveys his famous nightingale floor. Constructed with exquisite skill, it sings at the tread of each human foot. No assassin can cross it unheard. Lian Hearn is the pseudonym for the writer Gillian Rubinstein, currently living in Australia, who has a lifelong interest in Japan, has lived there, and speaks Japanese. All five books in the Tales of the Otori series—Across the Nightingale Floor, Grass for His Pillow, Brilliance of the Moon, The Harsh Cry of the Heron, and Heaven's Net is Wide—are available now from Riverhead Books. Don't miss the related series, The Tale of Shikanoko.